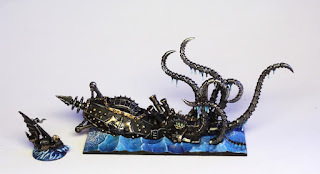 Let's kick off the series on the finished ships of Dreadfleet with one of the most notorious of the set - the Black Kraken! 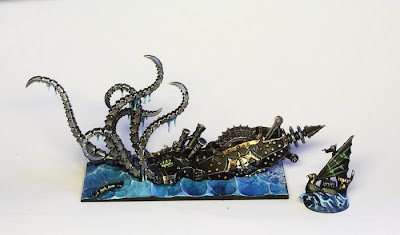 Such a great model. I'm always impressed how much movement and depth they got into the tentacles of a three part model. 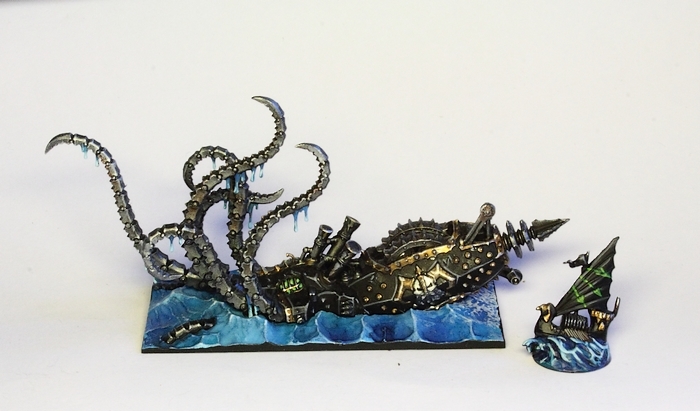 The auxiliary cog has a few chaos-y arrows on its sail and is painted to match the Kraken's colour scheme.